MKM Elevators are a supplier of services to the lift industry, with an excellent reputation. They provide site surveys, labour, modernisation, design, installation and maintenance. The website needed to reinforce the brand with a corporate, large business look-and-feel, bringing it into line with the competition. 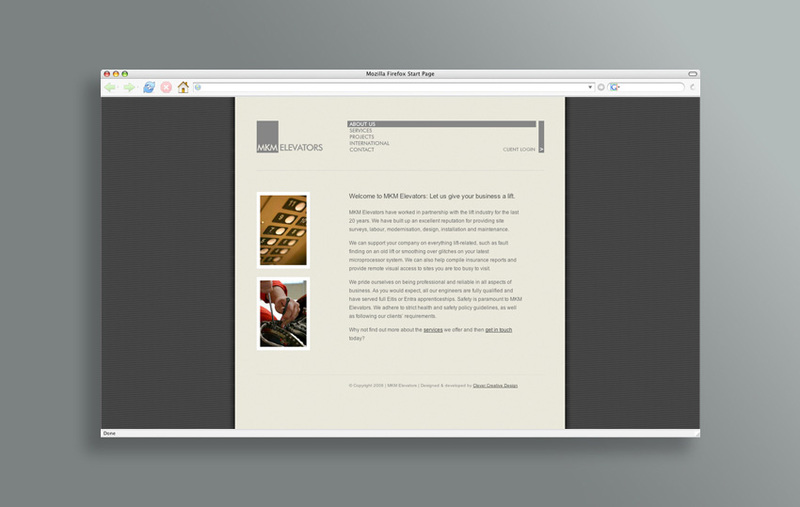 Needed to ensure the website reflected the stability and build long-term credibility of the company. We were also tasked with creating a system to help customers track the progress of their jobs online - accessed with a secure password/login gateway. Enable interactive online communication with existing clients and MKM staff. Essential the website could be directly managed and maintained by MKM staff. Provide key information online; including policies, procedures & regulations. Improve the site structure by following a search engine optimisation strategy enabling it to be found more easily in search. 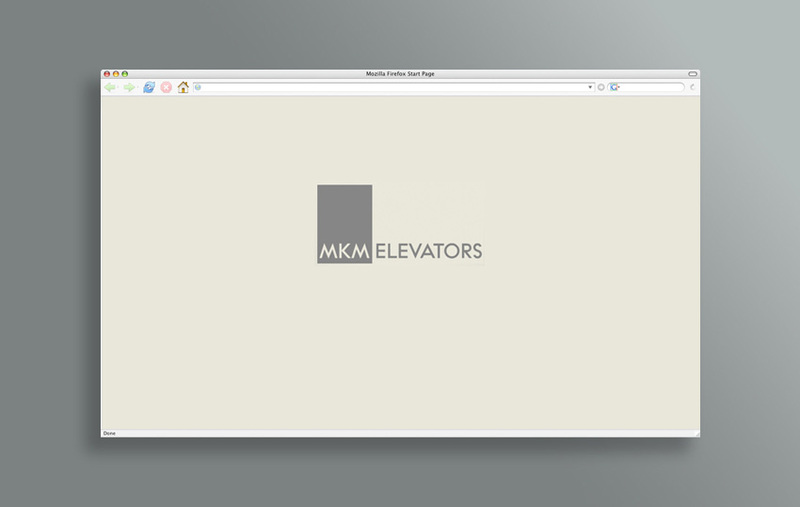 With its cool, clear and uncluttered style, the easy to navigate website conveys the right messages about MKM Elevators to its target audience. 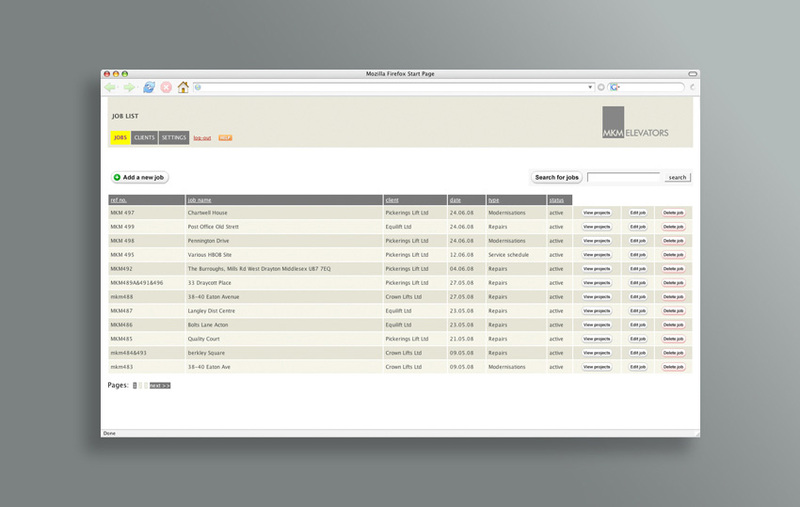 The back-end job tracking system works seamlessly within the site. Built using an affordable Content Management System (CMS) enabling client to make updates as and when required - providing great flexibility. MKM’s new job tracking system represents a step forward for the industry, helping to differentiate the company within an uninspiring B2B arena. Enable non-technical staff to make website updates; providing a flexible, cost-effective & lasting solution. Reduction in time spent on administrative duties due to the introduction of the back-end job tracking system. The website re-design has enabled clearer communication driving down the cost of handling customer enquiries. Clever is a digital marketing agency focused on delivering results. Contact us to find out how our internet expertise can help your business grow online, and learn more about our comprehensive range of online marketing solutions. Telephone: 07855 414 950 or click here to email us. Please contact us if you are interested in finding out how we can help your business succeed online. Telephone 07855 414 950 or click here to email us.